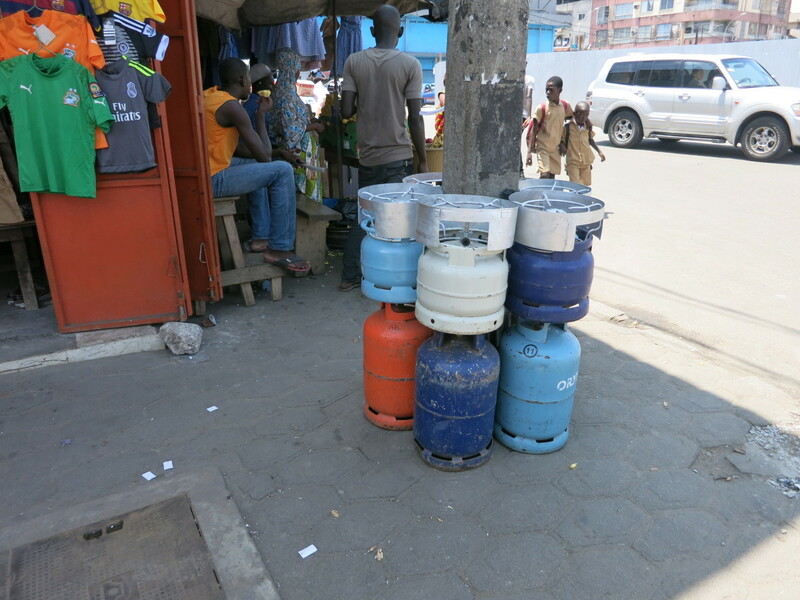 Take a closer look at those LPG (cooking gas) cylinders stacked around the pole, displayed for sale. The small ones on top have a rough and ready metal fitting attached to them which converts them into stoves. However, you’ll note in the delivery cart that these small cylinders are without the addition. This makes me wonder if its a value add by the shopkeeper? 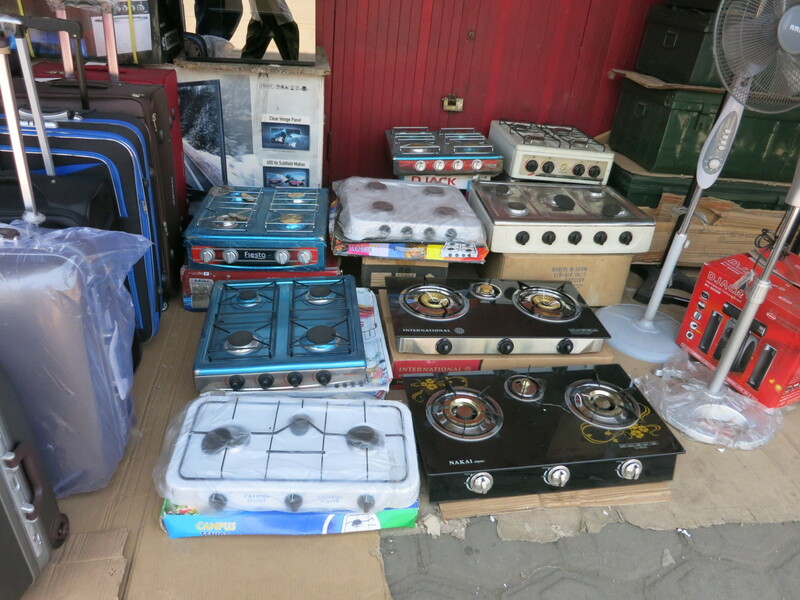 It seems as though even this range of LPG table top stoves might be too expensive for some, or is it a solution meant for street vendors of food? The fact that these are being displayed on the smallest (and thus most affordable) size of cylinder is another hint that its an entry level solution. A closer look implies that this might be a cookstove designed to fit on top of the cylinder and locally handmade by artisans rather than mass manufactured ranges shown above. Either way, it caught my attention as I’d never seen this directly fitted approach to cooking with LPG before. 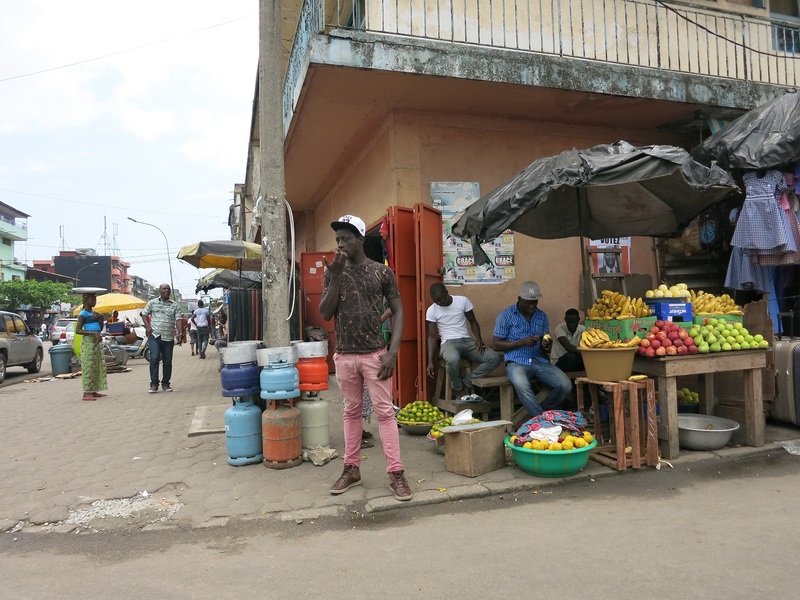 I needed to convert some euros into Ivorien francs in Abidjan last month and my colleague suggested Treichville market as the go to place. 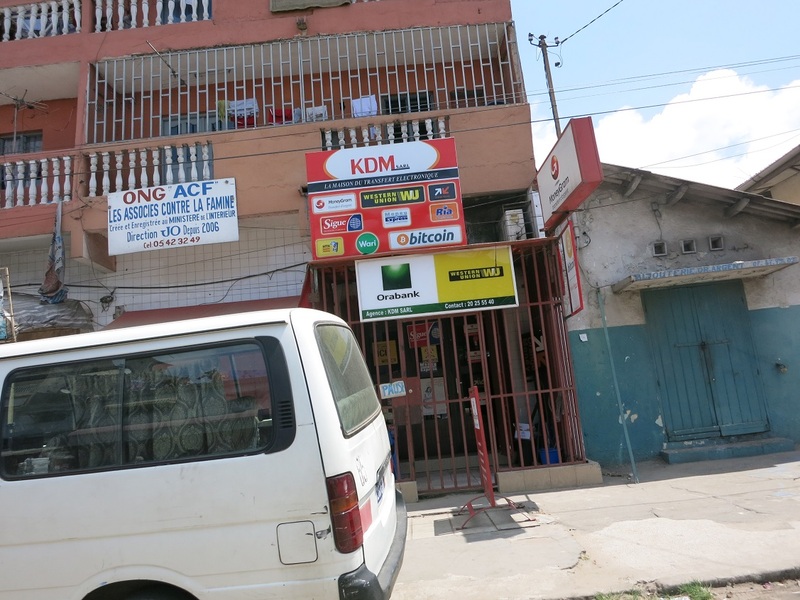 On our way there, I’d imagined it would be one of those hole in the wall currency exchange kiosks one sees in global cities from Singapore to South Africa. There would be a flashy LED signboard showing the day’s rates or a humbler blackboard, making the shop’s function unmistakeable. 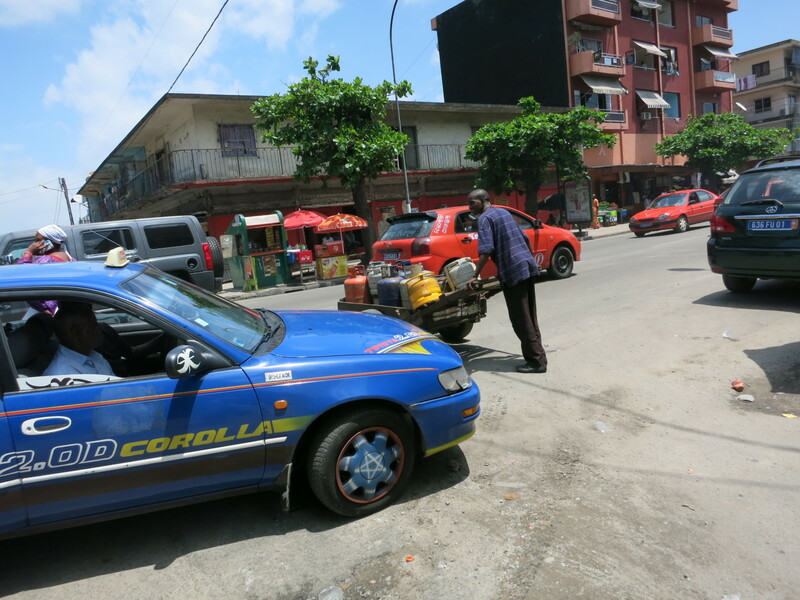 When we found a suitable street corner to park, the two young men showed up and asked us how much we wanted to change. After a bare minutes negotiation and the flash of the ubiquitous calculator, money changed hands. 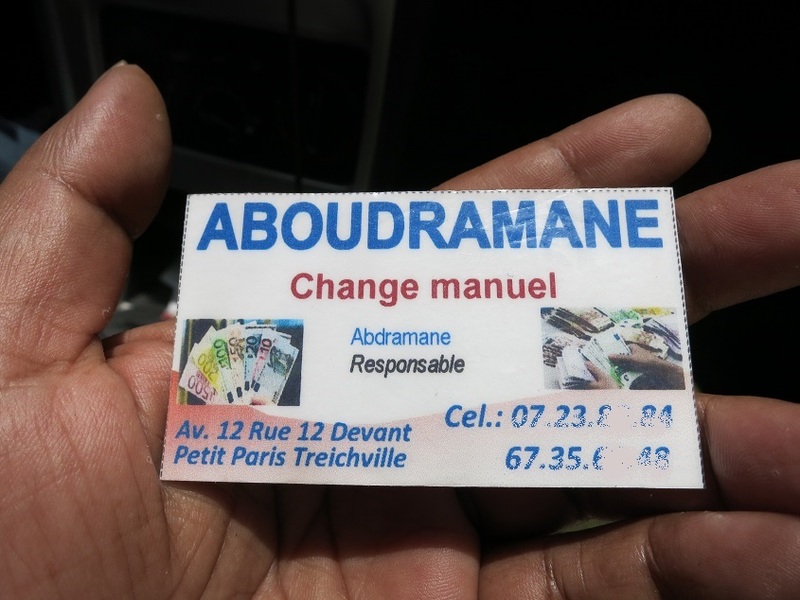 They were grinning at the minuscule amount I was changing and encouraged me to return with more, offering a range of currencies they handled. 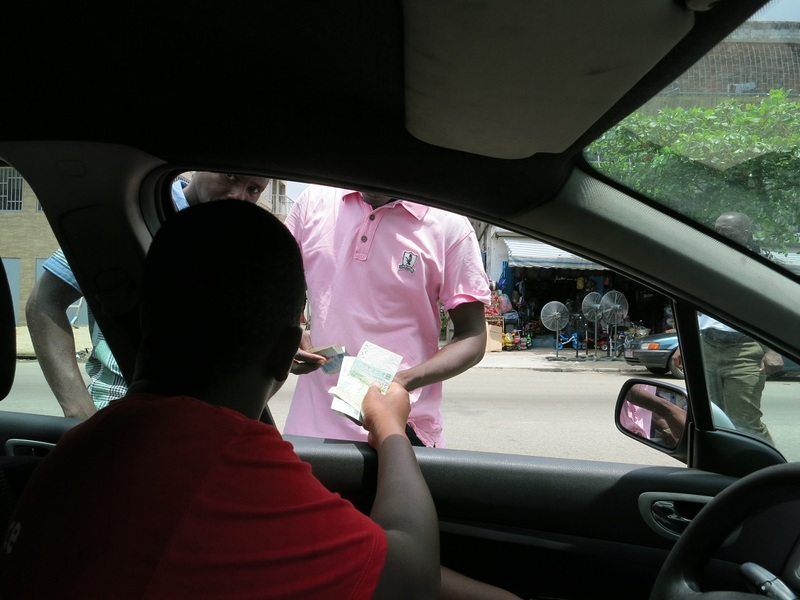 Surely this was the shadower side of the cash based informal economy, I thought? Ah non, madame! Here is our business card, I am the manager of this shop and we are always here on this corner, see, it is even printed on the card. What is formality and informality when you have a business card with your address and phone number?